US gunmaker Remington filed for bankruptcy on Sunday, as the more than 200-year-old firearms manufacturer vies to restructure its massive debts. "Directors have determined that it is advisable and in the best interests of the Company that the Company file, or cause to be filed, a Voluntary Petition commencing the Chapter 11 Case," the bankruptcy filing says. Remington had announced it would file for bankruptcy in February, just two days before a shooting at a Parkland, Florida high school killed 17 people and reignited a national debate on gun control. The restructuring agreement will allow Remington to reduce some $700 million of its consolidated debt, according to the company, as well as inject a contribution of $145 million of new capital into its operating subsidiaries. In February Remington said its "business operations will continue to operate in the normal course and will not be disrupted by the restructuring process." Remington's financial woes illustrate a paradox of the Trump era: weapon manufacturers ramped up production in anticipation of a Hillary Clinton presidency that would drive sales of those fearing increased gun control. Instead, they got a period of political dominance for the powerful National Rifle Association gun lobby -- with Republicans controlling Congress and the White house -- that was nonetheless accompanied by financial fragility for gunmakers. The company has also been hit with lawsuits by families of victims of the Sandy Hook school shooting that killed 20 small children and six adults in 2012. The families say 20-year-old killer Adam Lanza would never have been able to carry out his 264-second attack if he had not had access to a high-capacity weapon which had been "specifically engineered" for military use in combat. More than a million Americans flooded streets of cities nationwide on Saturday demanding tighter gun control on Saturday, marches that were spearheaded by teenagers from Parkland who survived the shooting. 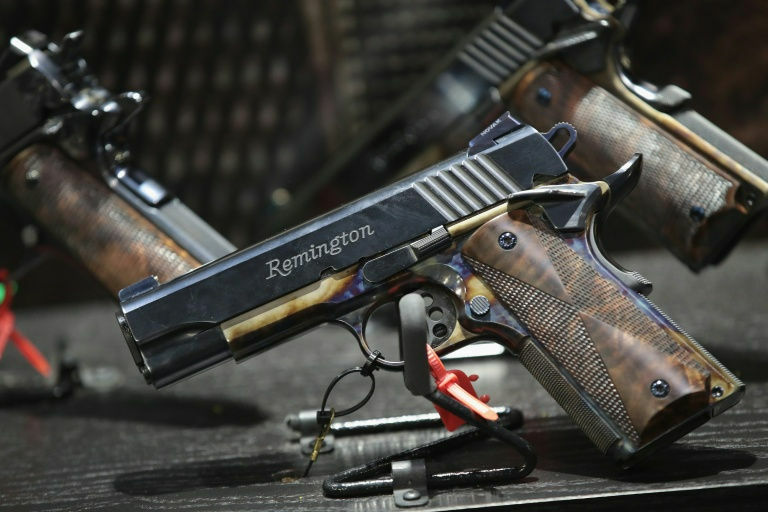 0 Response to "Gunmaker Remington files for bankruptcy"